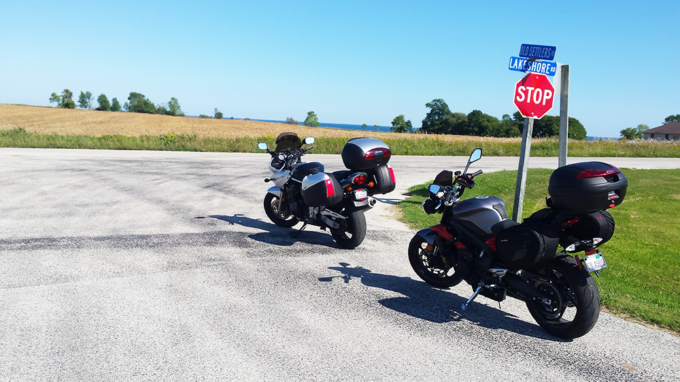 Our original post about the Lake Michigan Circle Tour is one of the first long distance motorcycle trips we covered back in 2014. Still a great introductory route for the aspiring long distance rider, more experienced enthusiasts demand more in the way of technical maneuvering. With them in mind, we’ve compiled a new version that better connects twisty regions throughout. The goal of re-developing such a well known, albeit slower paced map stems from the difference in scheduled riding opportunities between my wife (TRO writer Margaret Dean) and myself. While I’ve been able to ride daily, she hasn’t and the technical requirements for this anniversary trip aim to reflect that. She just bought and customized her first dedicated sport tourer, a modified 2016 Triumph Street Triple R which needs to be broken in while she becomes familiar over the course. That isn’t to take away from Mrs. Dean’s technical riding abilities. 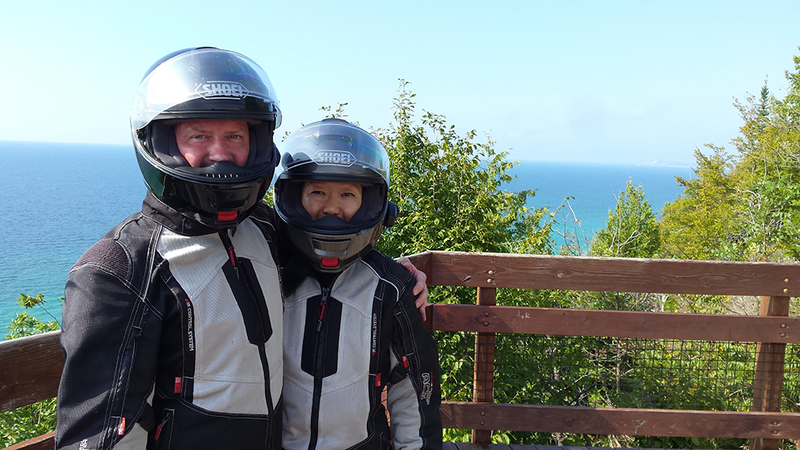 She and I both completed the MSF Advanced Rider Course together and she’s spent countless hours in the Wisconsin Driftless region. The keyword here is “exposure” and this new version of the LMCT balances ours evenly. Now … before I present our altered, sport-touring-centric version of the map, note that multiple “official” versions already exist complete with state funded signage marking the way. These government branded options will literally put you on an expressway and for that we deem them a joke. While the end product below still has it’s fair share of relaxed straights (help us continue to twistify it via the comments section), those straights are surrounded by beautiful views. Start from any point! We chose to kick things off at our base of operations in Libertyville, Illinois, a Northern suburb of Chicago. 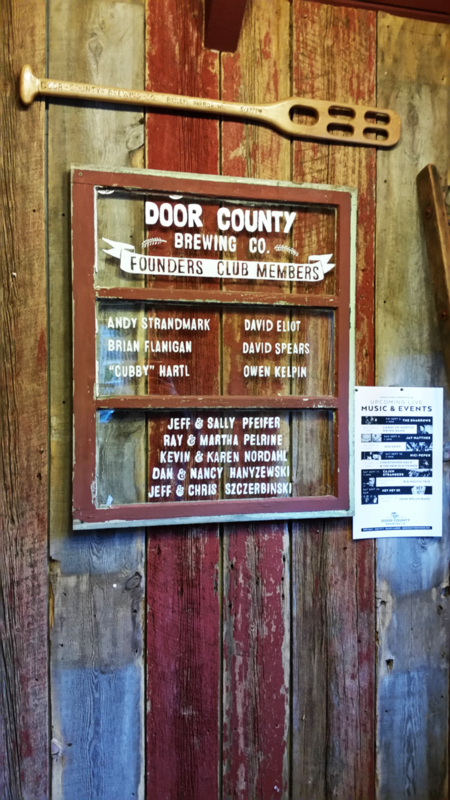 Using our go-to local route towards Waterford, Wisconsin, we eventually deviate, making a beeline for the base of the Kettle Moraine Scenic Drive. The Kettle Moraine is both twisty and beautiful. It’s marshy lowlands and cresting hills make for a great beginning. Whitewater points to Battle Creek to Nagawicka … each ricocheting Northeast and bringing us closer to the Lake Michigan shoreline. Margaret and I made a pact to keep the miles easy, traveling only 150-250 per day. Having started late, our first break is in West Bend, Wisconsin where there’s a nice AmericInn for lodging. Coffee the next morning at Coffee Corner, a local cafe in Kewaskum got the energy going again. For day two, we continue the Kettle Moraine Scenic Drive to it’s end before entering Door County where things level off for a bit. This places us in Bailey’s Harbor. 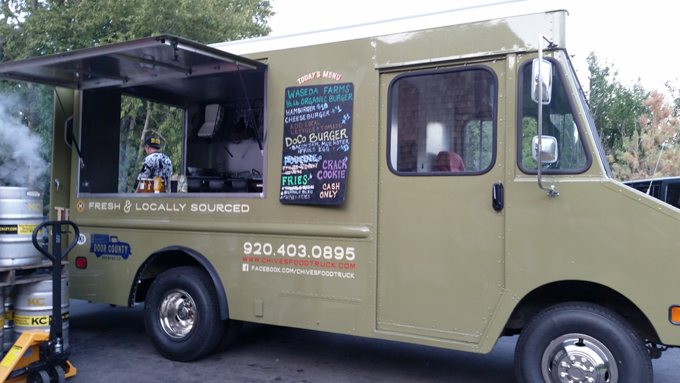 The rental cabins at Journey’s End Motel are complimented by the Door County Brewing Company and local grass fed burgers from Chives Food Truck. Also, there’s little if any light pollution, so stargazing is easy. Breakfast the next morning is well spent at Bearded Heart Coffee. Other Door County towns worth visiting include Egg Harbor, Ephraim, Fish Creek and Sister Bay. Door County has plenty of twisty sweepers for the sport touring mindset but none more seemingly unnecessary (to our benefit) than the likes of route 42 just West of the Washington Island ferry line. Our own Travis Burleson has a photo of this paved Fusilli noodle on his living room wall. Perhaps it’s due time he make the trek and traverse it [hint]. An introductory route for aspiring long distance riders, experienced enthusiasts demand more. This version better connects twisty roads throughout. 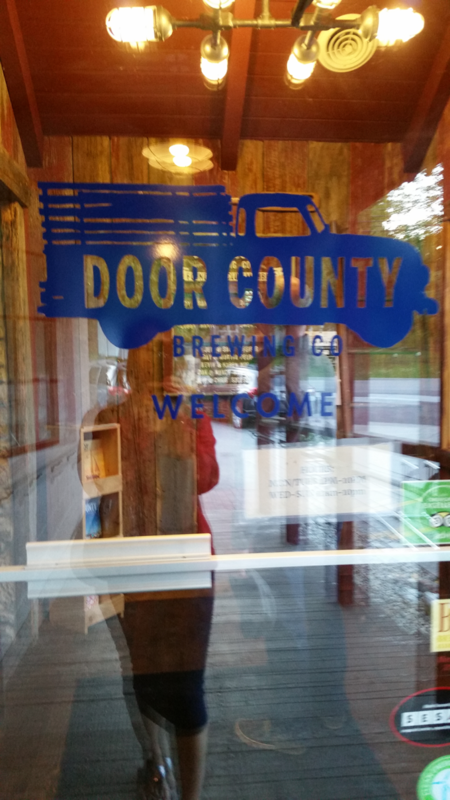 Day four concludes our venture through Door County, landing us smack dab in the middle of Green Bay traffic. I’ve edited the map above to bypass much of it as the roundabout system appears to be more than residents can handle. The confusion over who’s to yield when makes it worth avoiding. North Lakeview Drive becomes County J which eventually leads us to the rural County S. At Oconto, we pick up County Y and our grins get wider as we ride through Green Bay West Shore State Wildlife Area. Once again, the road is ours and ours alone. Brushing by Peshtigo and Menominee, our entrance into the Upper Peninsula is met with simple, picturesque surroundings along route 35. This blend of slow curves and straights points directly to Escanaba, where we choose to end our riding day. As a personal note, it’s here that Margaret’s new bike alerts us to the 500 mile oil change being due and wouldn’t you know it, the battery on my Bandit 1200 needs to be replaced … mid-trip … again. Big thanks to Cycle City in Escanaba, Michigan! Fresh oil, new filter and YUSA battery installed, we bounce off of the Lake Michigan coastline and head Northwest towards Mashek and the Gwinn State Forest Area. The ride to Lake Superior is chock full of twists and turns but our return is a bit bland. 28 along Superior to 94 south until Manistique begs for improvement, so I’ve since updated things to make use of Autrain Forest Lake Road, Buckhorn Road and something called “NF-13”. Manistique doesn’t have particularly much going on but their Comfort Inn is well maintained, with a nearby grocery that boasts “by the bottle” craft beer options. Day five introduces a complete shift in the riding environment. Margaret’s state of mind with her new ride has her ready to lead and lead she does. A simple path along Route 2 points us toward “Big Mack”, namely the Mackinac Bridge. First things first, however. 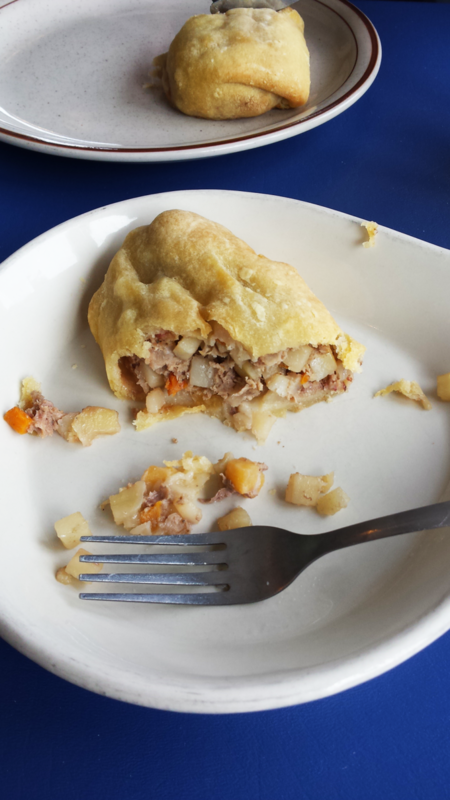 We’re about to exit pasties country. 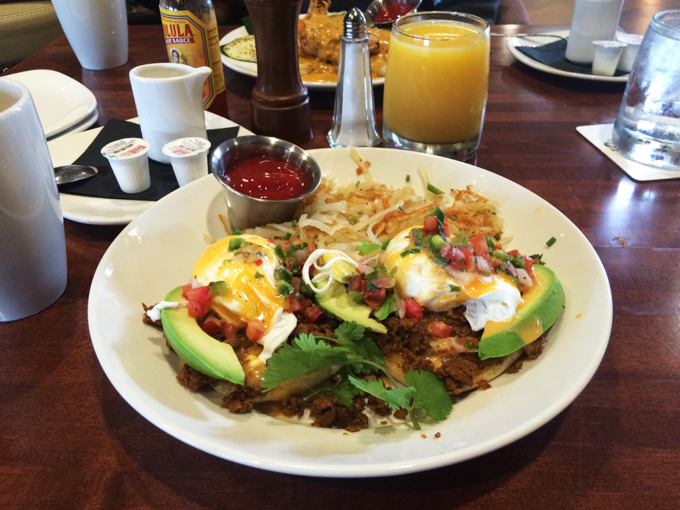 Do not deny yourself the opportunity to enjoy one of these fine eats. Chasing it with a slice of cherry pie is the correct answer to all things Michigan. Only then are you prepared to complete the circuit to Charlevoix. This leg of the trip starts with a lot of two-lane traffic but the state has wisely installed passing lanes every 7-10 miles. They’re about a half mile long and the locals tend to employ them respectfully. Such consideration is rarely seen in Midwestern driving. Linear and laid back turns twisty just across the bridge, beginning with the Tunnel of Trees Scenic Heritage Route. Overlook stops are well marked for anyone interested in photos. 119 curls around Petoskey State Park, then linking up with the pleasant route 31 into Charlevoix where we once again abandon our bikes for the remainder of the day. 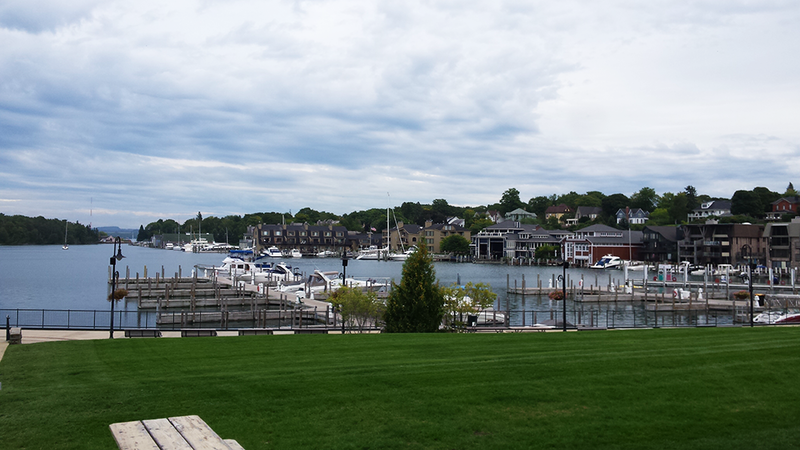 It’s in Charlevoix that we’re the most touristy. Once checked in at The Lodge Motel, we elect to grab afternoon coffee at Johan’s before settling in for dinner at Bridge Street Tap Room. 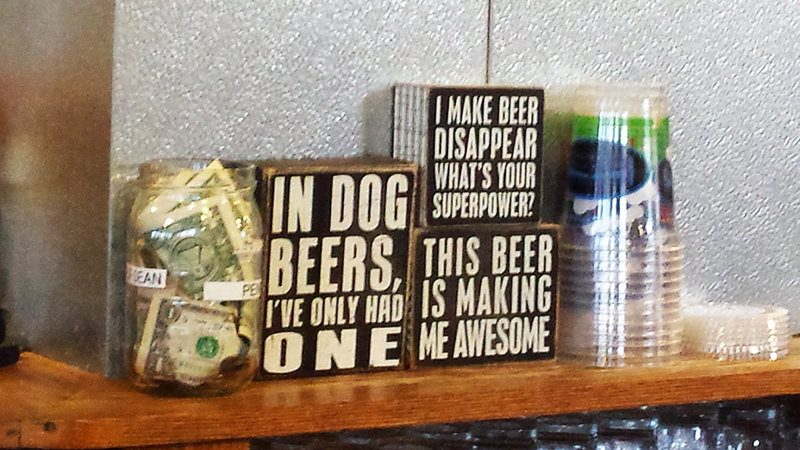 They boast a smoked porter (beer) that’s quite tasty, with a smooth hint of campfire. 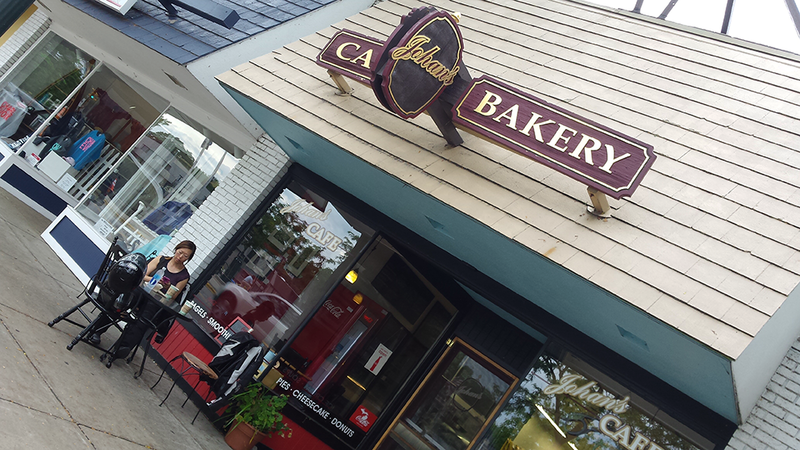 As for breakfast the next morning, you can’t go wrong with Simonsen’s Bakery Cafe. Our goal for day six targets Manistee. We pick up 31 once more and follow it through Traverse City. It’s here that we meander onto the technical M22, truly a twisty good time. We’re talkin’ curves galore with minimal if any mid-week traffic. The scenery is absolutely grand but focus on the road! M22 guides us through Sleeping Bear Dunes National Lakeshore. The advertisements for dune buggy rides are tempting. The advertisements for dune buggy rentals are even more so. There are countless farms throughout northern Michigan and Margaret is keeping track of each and every “pick your own” fruit stand invite. I’m not sure what the tally was at this point but the final count is twenty six if I’m correct. At least now we have legal documentation on the matter. 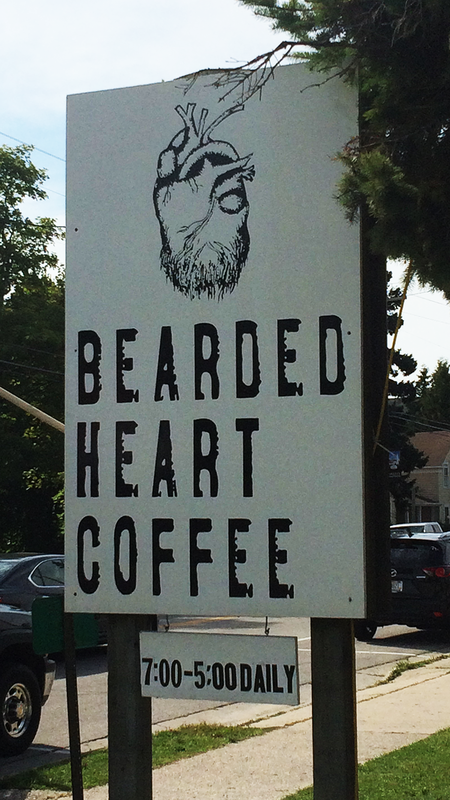 Should you require a mid-ride coffee break, the Leelanau Coffee Roasting Company in Glen Arbor will wake you right up. Other towns we’re considering for an extended stay include Traverse City, Glen Arbor, Leelanau, Ludington, Pentwater, Silver Lake and Whitehall. The road continues it’s call, so we carry on until we reach the Days Inn, Manistee. 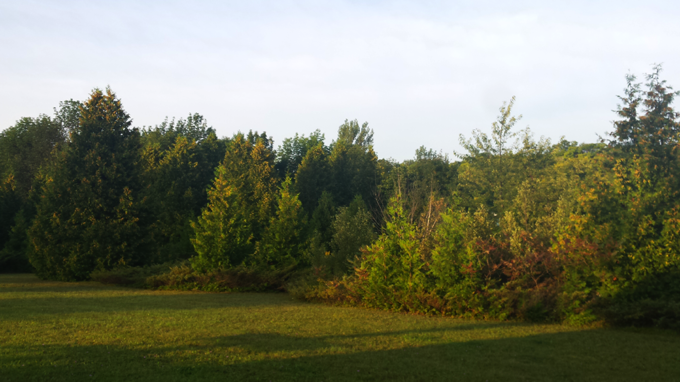 Another morning sun rises and we’re off to St. Joseph with a brief stop in Muskegon. Plenty of good riding keeps our interest peaked, mixing forest sweepers with shoreline horizons. The Inn at Harbor Shores received us well, located just outside of the main lake side, a.k.a. the “pretty” part of town. Their wine/coffee bar is enjoyable, as is the restaurant’s outdoor seating. Note for next time: they offer spa services. This late in our motorbike tour mileage, such things are worth the dime. Onto day eight. This poses a challenge. There’s nothing in Gary and Michigan City isn’t of any interest. My original effort tacked on about 150 extra miles that would bypass all of it, including Chicago. It’s Saturday and traffic is likely dense but the mere mention of our dog/cat has us opting to jump on the 294 outer belt. My one major mistake … we got on too early. Watching high speed chaos dance around a loved one is an ulcerous experience. My solution above insists that those who download the map should either stay in Chicago on a weeknight for fun or skip it completely until north of Schaumburg. This then ties the entire route to our short range Sheridan run, with it’s once again pleasant views and impressive housing. At it’s tail, we land back at TRO headquarters with new experiences in tow. 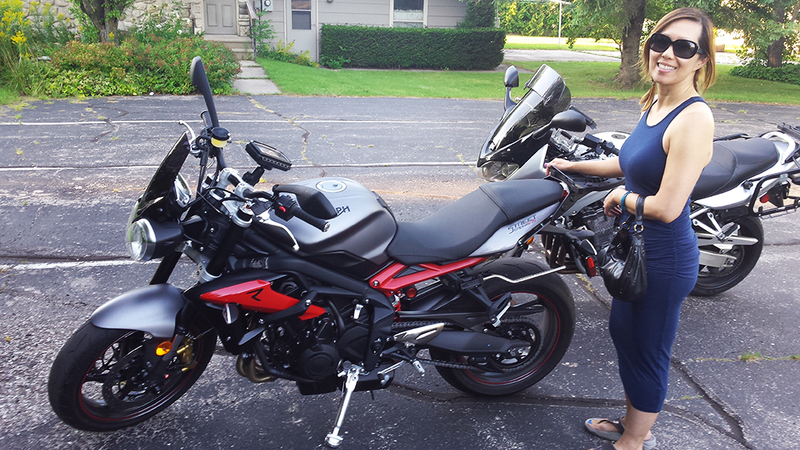 The wife’s new trip-dedicated motorcycle is broken in and she’s got plenty of personal perspectives to process. 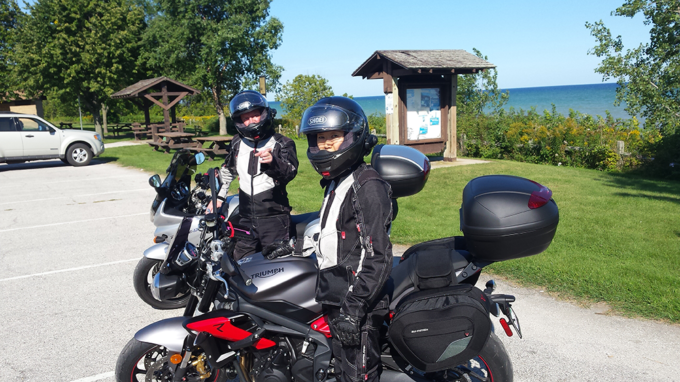 Our more advanced version of the Lake Michigan Circle Tour is sport touring enthusiast ready, so download it to your preferred GPS device and take it for a spin! How Would You Make This Route Better? We’re confident that this ride is preferable to the default LMCT but then there’s always room for improvement! What would you change? Why? Your input is invited. Post an article! This is great route. Thanks for sharing it with us. The only thing I might change is, instead of taking US-2, continue along the northern UP shoreline. Overall, it was spectacular! I’m greatly happy that you enjoyed this route, bonobo39 and thanks for the support! How many days did the whole ride take you? I think I’m going to go for it this Friday. If you’re keen on seeing the sights and relaxing after a day’s ride (200-250 miles), I’d suggest 4-5 days. Otherwise, it can be done in three (maybe even two but I wouldn’t advise it). 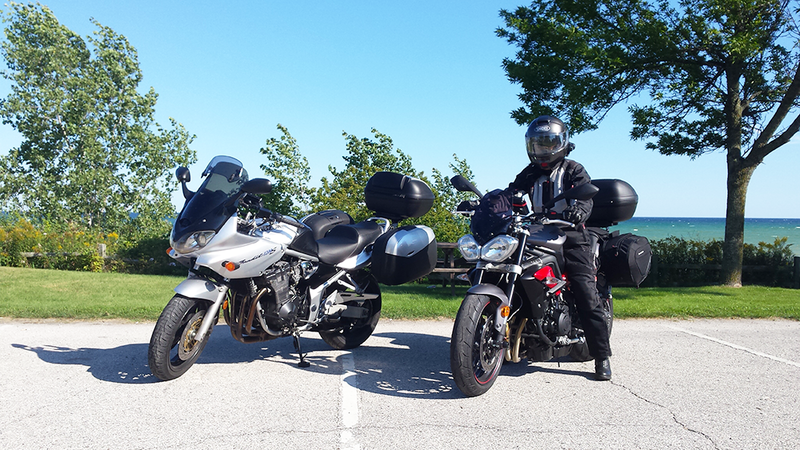 I’m a female rider in Chicago and I hope to do the circle tour this summer, probably on my Street Triple RS. I was wondering if you could share what you and your wife did to modify her Striple (other than saddlebags and top box). I have a Thruxton R which already has saddlebags, but I suspect the riding position for hours on end might put me in the hospital. I don’t want to buy an adventure touring bike, because most will be just too tall and heavy for me. We wish you safe travels around the pond! The mods to Maggie’s STR are extensive but certainly accessible. Most are mentioned here. She’s also currently working a write up about converting otherwise standard bikes over to the sport touring format. – Better windscreen: small but displaces air around the rider (not up and over). – SW Motech top case plate + adapter for Givi 35 liter, with quick-connect screws. – SW Motech saddlebags (expandable), comes with mountware and interior dry bags. – Ram mount with larger X arm for her big ‘ol iPhone. – SAE to USB combination adapter (with an SAE ‘Y’ cable) for phone power + tender access. We also installed a LOT of protectors and frame sliders for the sake of our investment. I gotta remember to ask her to include those in the upcoming article. Thanks so much! Love the SW Motech – but they are a bit pricey. Have you been satisfied with quality? I’ve had bikes in the past that weren’t touring-ready in their default state. SW Motech, pricey or not, opened the doorway for a lot of our machines where luggage, protection and accessories are concerned. My feeling is this: if it’s your round-towner or track-dedicated machine, meh … whatever (go with basic/cheap). If you’re going to tour, however, let the wallet go big and be greatly satisfied with your investment. Bottom line, they’re top shelf and worth the financial burden if you intend to keep that bike for a good long while. Also, they add to the “features” least should you ever put it up for sale. 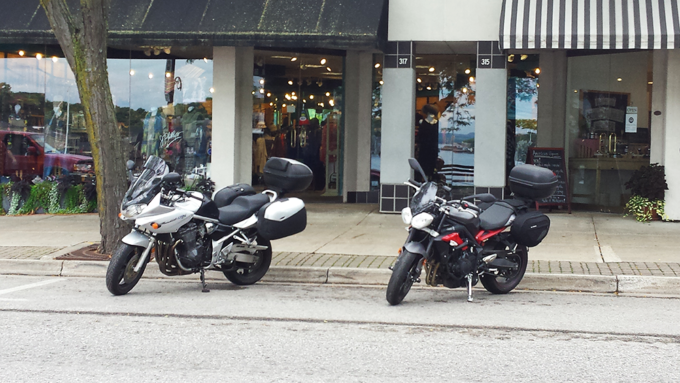 Example A: I sold my ’03 Bandit 1200 maxed out with SW Motech aftermarket items for $2700 … with 60k miles on it. Considering doing this later this year. Seems like a great tour for my new softail. I live not too far from you guys on the south shore of the Lake. Yeah, this is definitely a cruiser-friendly getaway. We’ve since left Chicagoland. We’re travelling the states in a 5th wheel, currently in New Mexico.